your willingness to network reminds me that I am blessed to be in an amazing field full of opportunity. The networking here and throughout JEDLAB is truly a gift, I can't wait to utilize more of it as what I am doing continues to evolve. JEDLAB, a space and platform that allows Jewish educators of all settings to exchange and test ideas in a friendly and encouraging environment, is, at the time I'm writing this blog post, 2550 members strong on the Facebook page where JEDLABians can most easily interact with each other. But that's not to say JEDLAB only takes place on Facebook. Meetups in the actual, physical (gasp!) world, collaborations among different members, book clubs, and webinars have also allowed educators to learn from one another and spread innovations quickly and efficiently. Seeing people's daily requests to join JEDLAB on FB, watching the rich discussions that take place there, and connecting and collaborating with educators I would never have known without JEDLAB has made me consider what it has brought to my classroom over the last eight months since it was launched. 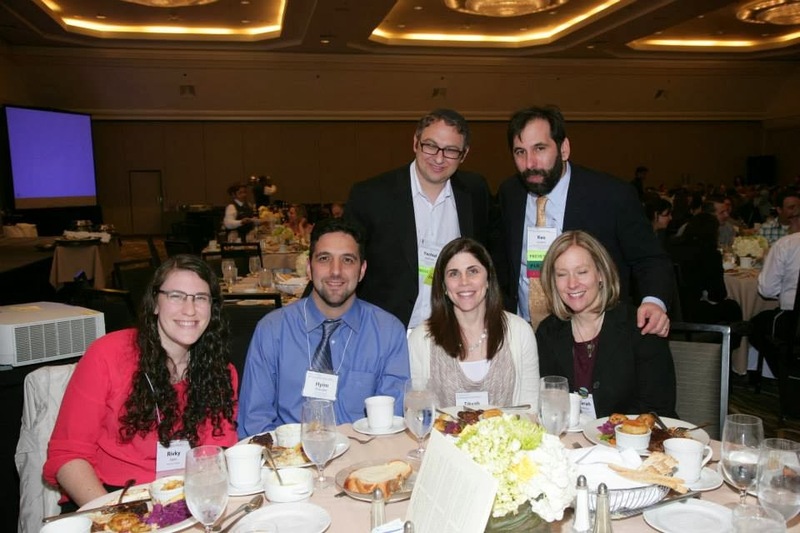 Before JEDLAB, I met Jewish educators at the North American Jewish Day School Conference, where we squeezed in talk about the pedagogies going on in our schools in between sessions that left us with ideas we wanted to implement but no clear strategy for doing so. Following up with colleagues became impossible once we returned to our natural settings and the responsibilities of our jobs took precedence over anything else. Now, on a daily basis I can receive feedback about and help with whatever I want to do in my classroom. 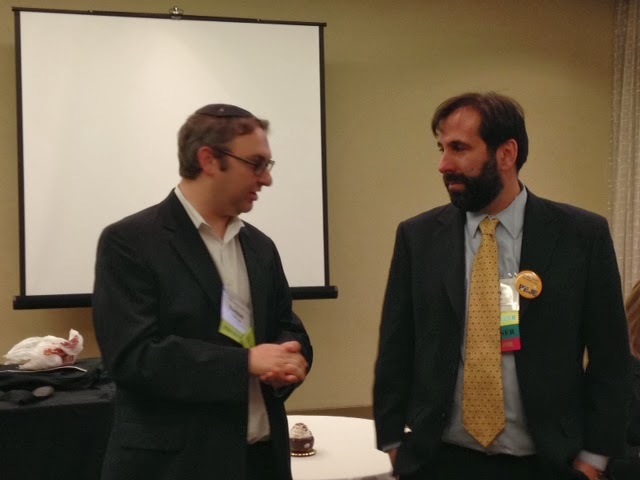 The truth is, before JEDLAB, I had a Twitter PLN, #jedchat, a group consisting of Jewish educators, two of whom were Ken Gordon and Yechiel Hoffman, JEDLAB's founders. What happened when we began to converse on Facebook was that we could engage in multiple conversations, both synchronous and asynchronous; deepen those conversations in ways the 140-character limit on Twitter wouldn't allow for; and meet colleagues with whom we could interact both on- and offline. One of the first ways these particularly JEDLABian interactions have happened is through book clubs. It seems natural that the People of the Book should have educators interested in reading books together. In fact, you could say that JEDLAB's start was in part propelled by a book. On #jedchat, Ken Gordon suggested we all read The Sorcerers and Their Apprentices, an account of the accomplishments of the MIT Media Lab, by former director of the Lab, Frank Moss. I was so struck by the book that when I finished it, I called Ken for the first time (we had only communicated via Twitter up until that point), and we discussed how to imbue Jewish education with the ethos of the Media Lab. You can learn more here about the similarities among JEDLAB, RealSchool, and the MIT Media Lab. Ellen Zimmerman Nice offer, Russel Under-Protest Neiss! If some of us wanted to learn about creating apps, would you want to "batch" us or give us 30 minutes each? Russel Under-Protest Neiss Ellen, all sessions will be recorded so anyone can check out older ones. But I think one on one is probably best for this sort of thing. Arnie Samlan I gotta tell you, dude, you are wonderfully outside the box. Alan Jay Sufrin Russel Neiss taking over the world of Jewish education right now is exactly what needs to happen. And as I've said, maybe the best thing to happen to the Jewish people, ever. I really believe that. LISTEN TO THIS MAN. Leah Herzog I may take you up on this. Alternatively, if anyone needs help with interdisciplinary work or Tanach or Tanach methodology, you can feel free to pick my brain. Kol hakavod. Adrian Durlester Russel Under-Protest Neiss Occupies Jewish Education! Isaac Shalev Russel and Adrian I live my professional life guided by the same principle as my personal and religious life: Shefa - overflowing. In my professional life that means that I want to share my knowledge and skills broadly, and help people get smarter, build new things, and change the world. Do that earnestly and honestly, and I find that the money takes care of itself. This type of willingness to help out one's fellow educators -- regardless of the type of setting or Judaism they practice -- is one of the things I love most about JEDLAB, and it happens all the time there. In my own classroom, JEDLAB has had a tremendous impact already. I've written before about my Twitter final. It was because of my connections both on- and offline with Ken, Yechiel, Adrian Durlester, and Charles Cohen that they joined my final, and it was at Ken's suggestion that I had my students try to contact the authors of the outside reading books each had read during the last semester of school. One student, Talia ('15), contacted Laura Schroff, author of An Invisible Thread, who returned Talia's email and ended up speaking at Frisch and then coming to our school again to partake in our Acts of Kindness Day on December 26.
. . . Katie Salen from the Institute of Play speaks about the value of play in learning and how we need to open up these spaces of possibilities for our students. Your classroom shows that idea in action and engages learners and gives them that "need to know". Awesome! In fact, seeing the risks others are taking in their teaching environments gives me the confidence to continue taking my own. I'm excited about what JEDLAB is offering the world of Jewish education and am grateful for the ideas, critiques, and insights it gives me on a daily basis. In the nine short months it has been around, it has quickly filled a need for a new type of professional development that educators are clearly hungry for, and I can't wait to see what its next steps will be. and those who aren't had a chance to hear about what the network is all about!